The Dingle Peninsula or Corca Dhuibhne stretches 30 miles into the Atlantic Ocean. The coastline has sandy beaches, sea-cliffs & two large sandpits. The peninsular is dominated by surrounding mountains running from the Slieve Mish to Mount Brandon. 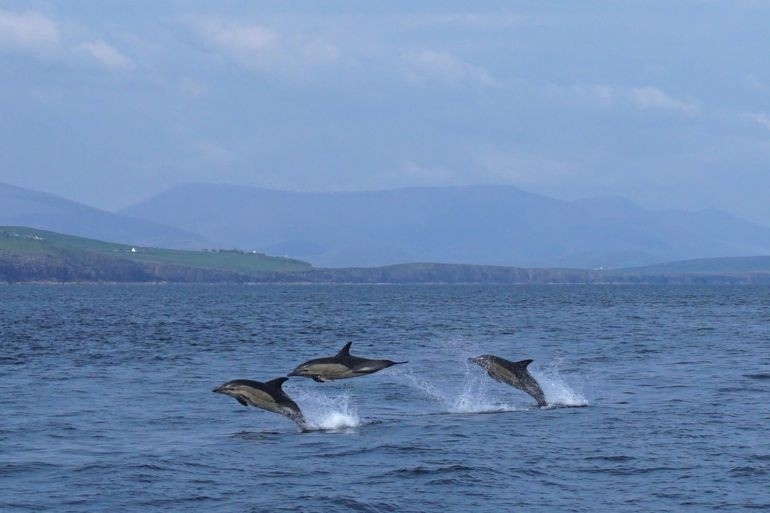 Dingle is full of things to see and do with a range on in and outdoor activities. Families will enjoy visiting the famous Fungie the Dolphin or taking a trip to the Aquarium, after a long days walking or visiting some of the 2,000 archaeological sites; relax in one of the many traditional Irish Pubs.